Quick Reply remained one of the most wanted features by iOS users until Apple announced that the feature will be available in iOS 8 public launch that is slated for fall this year. But at the present 90% devices are running iOS 7 and if you’re one of them and can’t wait for the iOS 8 release then we have got you covered. 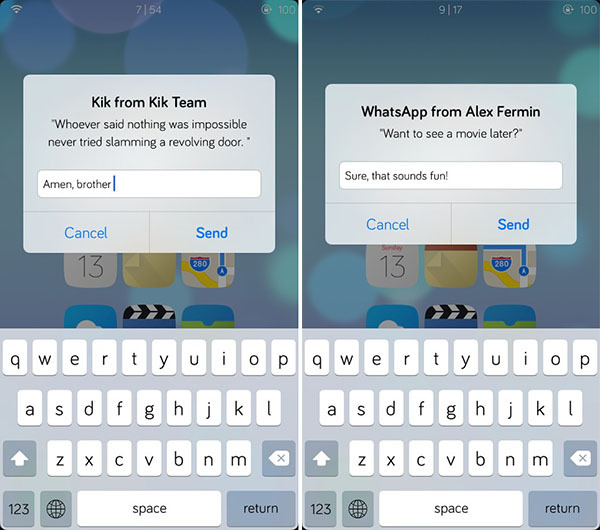 BiteSMS, auki, and Couria are already available at Cydia and provide a good solution for quick reply on iOS 7. 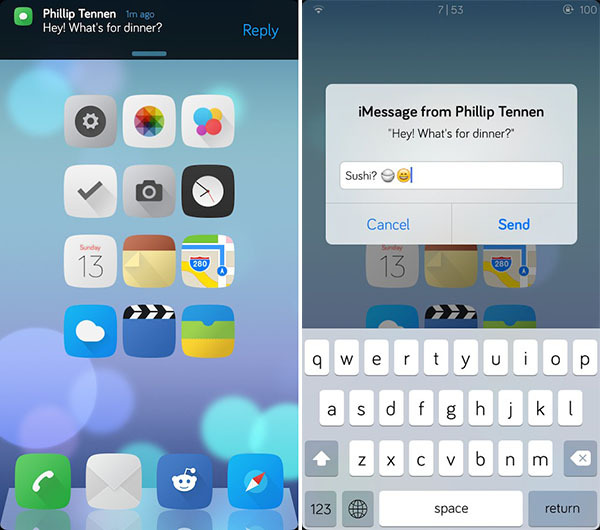 Interactive Message Notifications tweak also brings the same functionality inspired from iOS 8’s quick reply. But Hermes is a new open source solution that offers something different. Hermes tweak adds a quick reply button to iOS 7’s notifications banners, and packs two features that make it different from the competition. First is the support for WhatsApp and Kik notifications besides for the Messages app that is offered by all the above mentioned tweaks. Second is about efficiency and battery life. Hermes doesn’t add any extra UI elements rather it utilizes the iOS’s existing alert system that makes it a lightweight tweak that doesn’t impact the battery life and performance. One point where it lacks is that you can’t reply to the Notifications from the LockScreen of your iOS device. Currently it only supports quick reply from Notification banners. Hermes is available at Cydia and you can get it for $0.99 only. It is an open source tweak, and if you’re interested you can find its source code on Github.